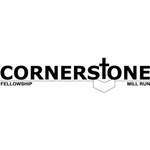 Cornerstone Fellowship of Mill Run hasn't added a story. Cornerstone Fellowship of Mill Run is the same old church, but has a new passion & vision for reaching the lost in the city of Altoona, Pa & beyond. We are beginning to make a real impact, but before we can take that next step WE NEED YOUR HELP! Hi, I'm pastor Steve Olivieri of Cornerstone Fellowship of Mill Run. I NEED YOUR HELP! This small but growing church is has a passion, just like I do for reaching the lost, poor & needy with the gospel in the Altoona area. In order to take that next step we need to raise up to $1,500/month in financial support for up to 3 years, or until the church is large enough to support me as pastor full-time on it's own. Please prayerfully consider supporting the work God is doing through this church today! Here are just a few of the ways we're trying to reach the lost & needy with the love of Jesus Christ. 1. "The Story" church campaign is a 31 week journey through the major stories of the Bible. The amazing thing about this journey is that people are seeing for the first time how the Bible fits together, from beginning to end, as one continuous story of how much God loves his people & the lengths He is willing to go to save them from sin. 2. Our Awana Club is getting kids off the streets & teaching them the gospel in a fun and engaging way every Sunday night from 6-8pm. For kids ages 2 through 7th grade. 3. Reach the Community Campaign: We are in the midst of setting up a "missions" fund that will be used to help with physical as well as spiritual needs for the needy in the Altoona area. As always you are warmly invited to join us every Sunday Morning! Cornerstone Fellowship of Mill Run hasn't posted any updates yet. Cornerstone Fellowship of Mill Run is managing the funds for this campaign.